Tel Te’o is located on the western margin of the Ḥula Valley, in a defile between the steep rocky slopes of the Naphtali Hills on the west, and what was until recent times an inlet of the now-drained Ḥula Swamp on the east. The site, covering some 7.5 a, stands on a small alluvial fan formed where a narrow gully issues into the valley, at 75–85 m above sea level. Three hundred meters to the north is ‘En Te’o (‘Ein Balatah), the water source of the site and one of the largest springs in the valley. Tel Te’o was discovered by Y. Stepansky during road construction works. 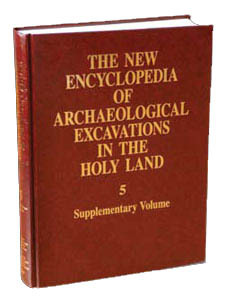 A salvage excavation was conducted by E. Eisenberg, on behalf of the Israel Department of Antiquities (now the Israel Antiquities Authority), from March to September 1986. The site’s exceptional stratigraphic sequence, beginning in the Pre-Pottery Neolithic B period and continuing, with a number of gaps, through the Pottery Neolithic and Chalcolithic periods to the Early Bronze Age II, represents an important contribution to the study of the late prehistory of northern Israel.